Fu! In the Year of the Ox! My partner at work got me this amazing Chinese calendar, which I have been twittering almost daily (follow @JohnnyCanuck) cause it’s just so damn funny. The calendar is from Hui Tack Wing Ginseng & Tea Inc and can be found in Montreal’s China Town. 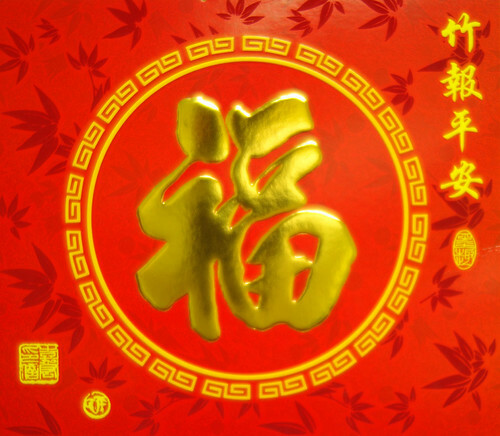 From what I can tell they are wishing every plenty of FU (luck, charm, prosperity: "all of the good things put together"). You might recall the 5 FU WA (mascots) from this summer’s Olympics. They are the babies of FU. Have a great Year of the Ox!